When questions are asked often enough, we want to make you aware of course changes that are in progress. The following is another question and answer session. Q: Can you tell us about new Yoga courses, and what we might expect to see in the near future? A: We have two new Yoga teacher courses in the works. Both of them will be released in December of 2008. The pre-requisite of these courses is that you are already a Certified or Registered Yoga Teacher. Certified teachers may need continuing education credits from Aura or another certifying body. Registered Yoga teachers may need continuing education credits for a registry. Level I – Yoga Therapy: The course will continue the direction of the Introduction to Yoga Therapy course. The introductory course is a pre-requisite to this course and can be used for continuing education credits with us and for non-contact CEUs with Yoga Alliance. The Yoga Alliance’s current policy, regarding continuing education, is that one non-contact CEU comes from five hours of non-contact study. 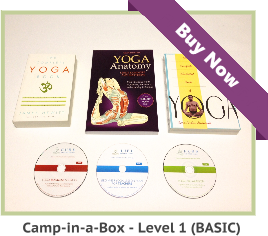 Similar to the Introduction to Yoga therapy course, the level 1 – Yoga therapy course requires 100 hours of study. This would give RYTs 20 non-contact hours toward Yoga Alliance’s 500-hour Registration. As a result, this would fulfill the Yoga Alliance’s non-contact hour CEU requirements over a three year period. The remaining 10-hours are required to be contact hours. 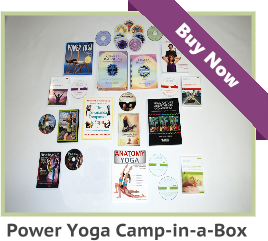 New Prenatal Course: The new prenatal Yoga course will consist of three books, three DVDs, and step-by-step instructions. Again, this is also a 100-hour course; therefore, this would also fulfill the Yoga Alliance’s non-contact hour CEU requirements over a three year period. Q: I have a Guru, who is not fond of students learning Hatha Yoga from a book or DVD. He believes that Yoga should continue the traditional method of teaching face-to-face. Can you tell me your thoughts on this matter? A: It is interesting that DVD’s and outside information are discouraged by some Gurus. If a student were new to Yoga, it is possible to hurt yourself without a safe foundation of Yogic knowledge. 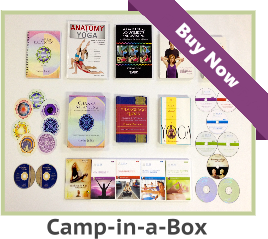 In the hands of an experienced Yoga teacher, or an intern, a Yoga DVD is a valuable learning tool to become the best we can possibly be. For each event that led us to transcend beyond our beliefs.